English Translation by the Rev. Ronald Knox. 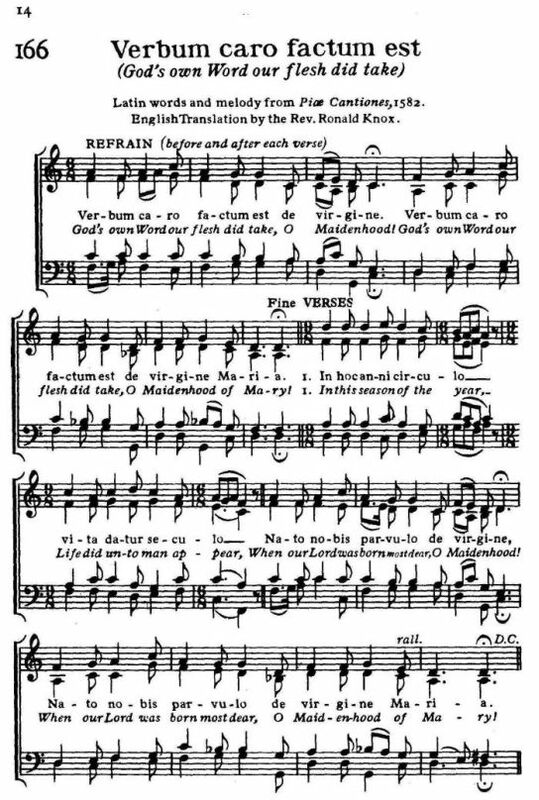 Source: Richard Runciman Terry, Two Hundred Folk Carols (London: Burns Oates & Washbourne Limited, 1933), Carol #166, pp. 14-15. Nato nobis parvulo de virgine Maria. Mundi lavat crimina de virgine Maria. 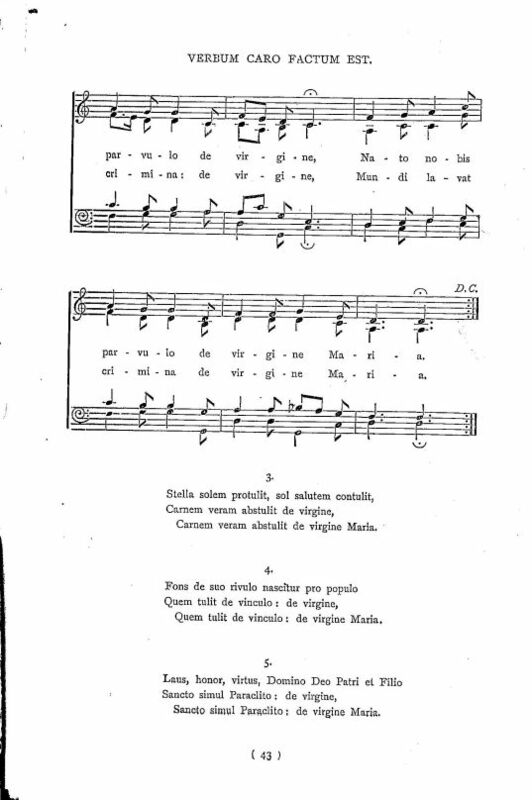 The Latin verses are substantially the same as those found in G. E. Klemming, ed., Piæ Cantiones. S. Trinitas. Iesus Christus. S. Spiritus. S Maria. 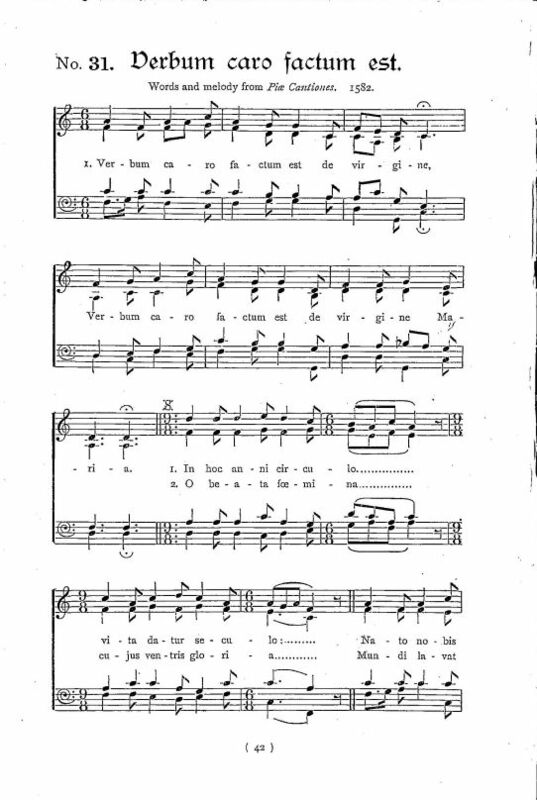 (1886), pp. 53-54. 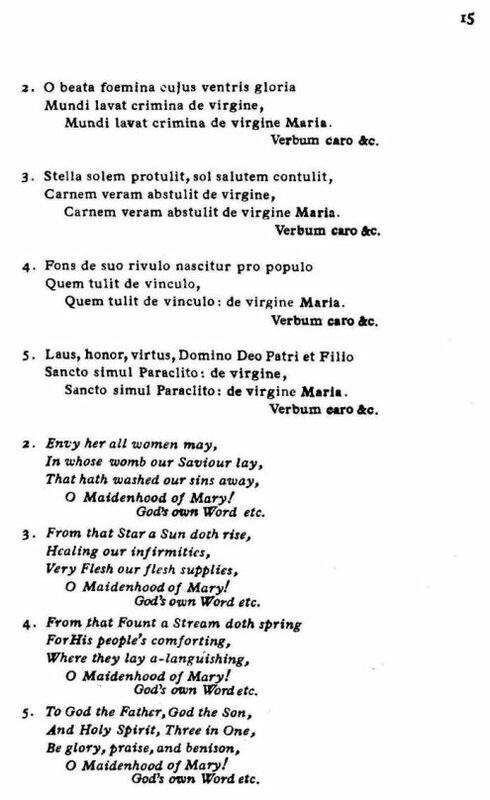 Another version of this same Latin carol, in eleven verses, is found in title In hoc anni circulo (Source: J. H. Hopkins, ed., Great Hymns of the Church Compiled by the Late Right Reverend John Freeman Young (New York: James Pott & Company, 1887), #73, pp. 114-5. ), with links to translations.